Come and discover our accessible and fun playground! 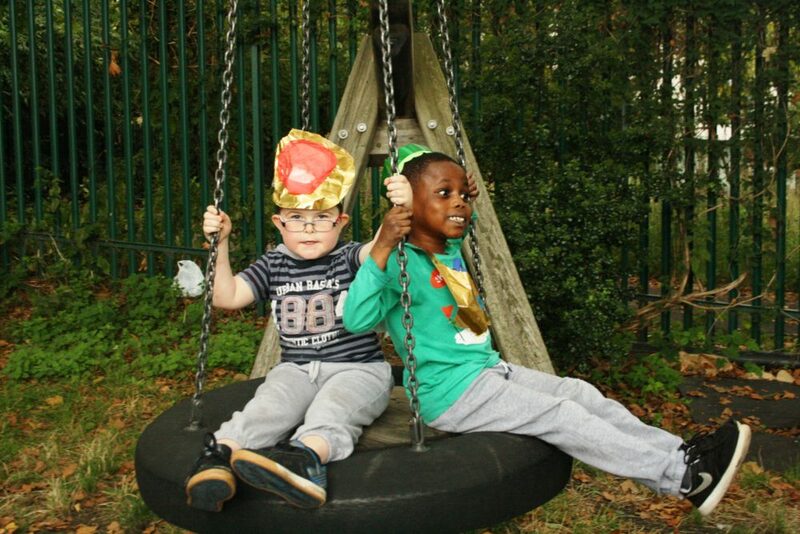 Hayward Adventure Playground has been specially designed with children at all abilities in mind, every part of the massive site is created so it is accessible and fun in many different ways. The special people that come here can play freely and test their abilities and skills in a safe and caring environment. The playground ranges over a large area and has a games pitch, swings, climbing structures, quiet places and a big sandpit. Children and young people can come on their own, with siblings or family members or through various pick-ups and arrangements but however they come they are welcomed into an adventurous space designed to provide as much fun as possible. Hayward provides an exciting and safe space for children to really jump, climb, run and enjoy playing out, meet neighbours and friends and explore the world of their imagination. 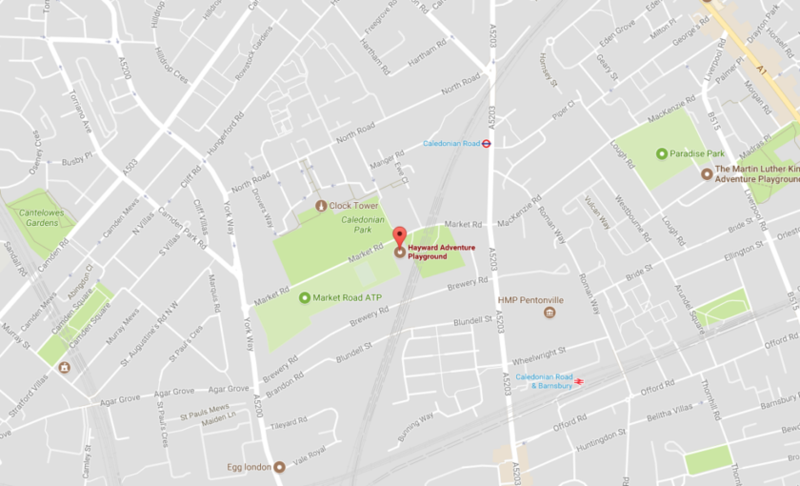 Hayward Adventure Playground was established in 1974 although the lease for the land from the Greater London Council wasn’t signed until 1977. It was among one of the first Adventure Playgrounds in London to support disabled children and children with special educational needs, as well as their siblings and friends. Lady Allen of Hurtwood, who brought Adventure Playgrounds to the UK, was particularly concerned by the restrictions placed on disabled children. Working with others, she established HAPA who initially ran Hayward until 2006 when KIDS took over. When first opened, Hayward had a stream running through it and a pet goat. Generations of children have enjoyed Hayward thanks to the transport offer which ensures all children can access this great play space. 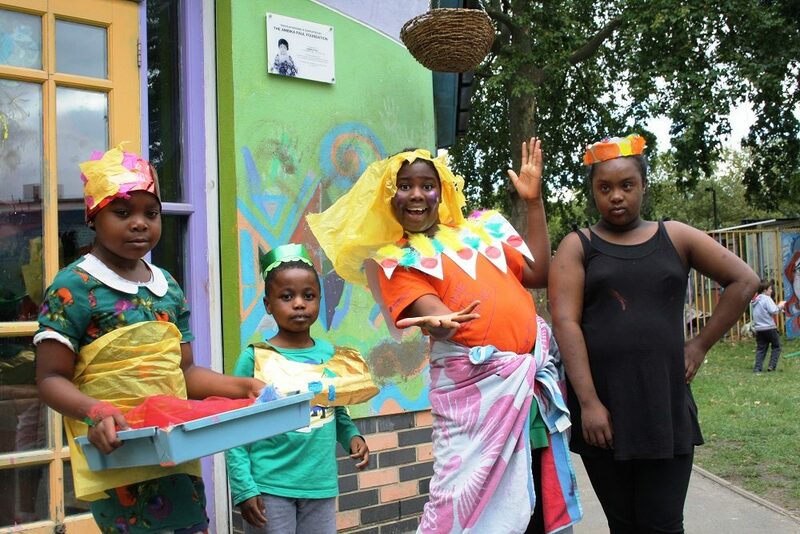 Hayward Adventure Playground is open Tuesday to Friday after school from 3.30pm-5.30pm. It is also open on Saturdays from 10.15am-3.15pm and on Sundays from 10.30am-4.30pm. Hayward is open Monday to Friday from 10.15am-3.15pm during the school holidays.